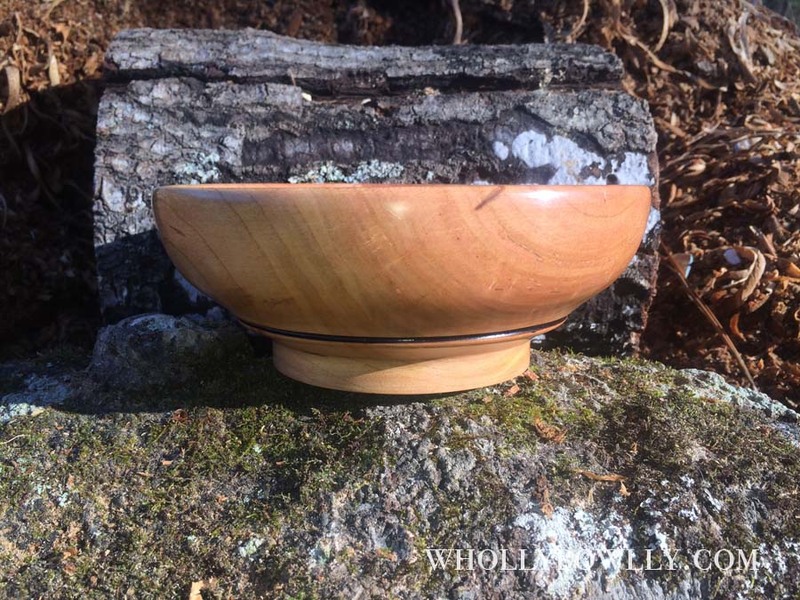 All bowls in this category are “Functional” pieces intended for daily use with food products. Each will be finished with a food safe finish, for details please see each products description. 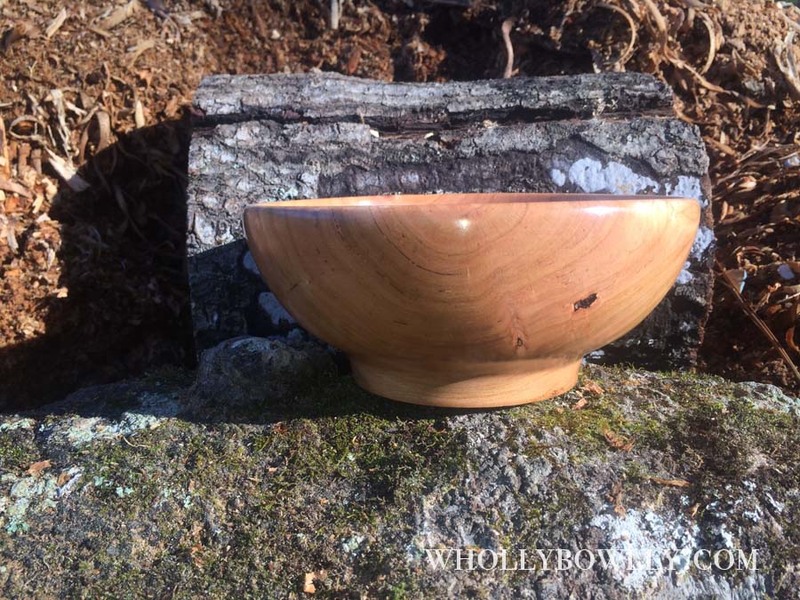 This Cherry Salad Bowl measures 6 ¾" in diameter, 2 ½" from table top to rim (sitting on foot, not depth of bowl center). 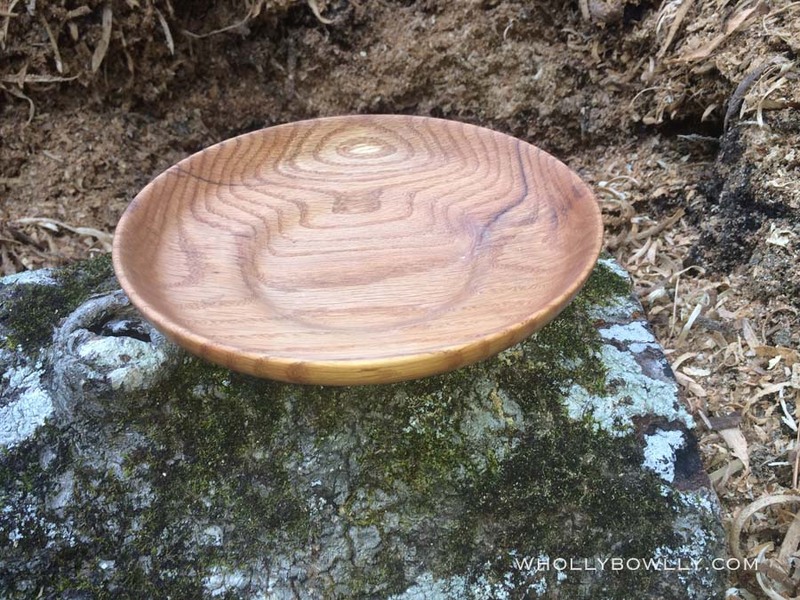 The bowl was coated with Salad Bowl Finish, a non-toxic hard finish. 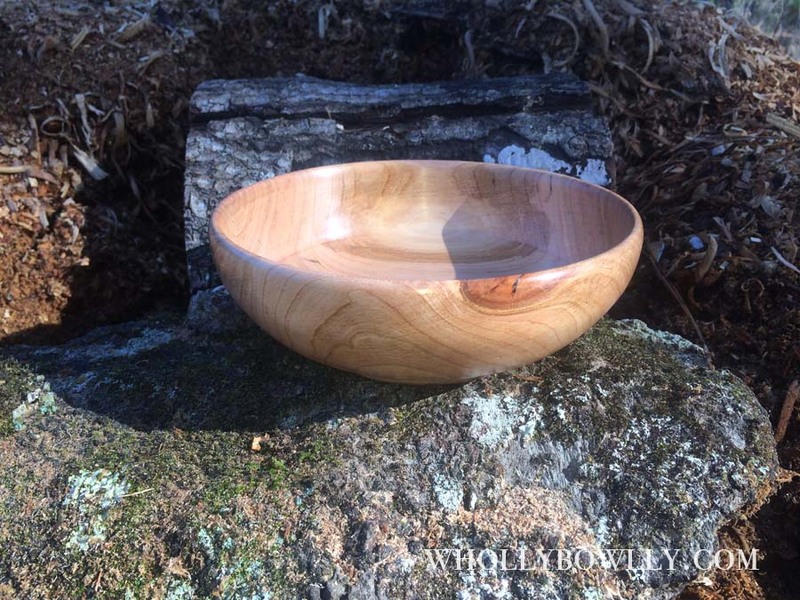 NOTE: There is a small crack in this bowl on the top edge. This was the center of the tree. It should not expand, and finish has been applied to this area. For this reason, this bowl has been marked down. 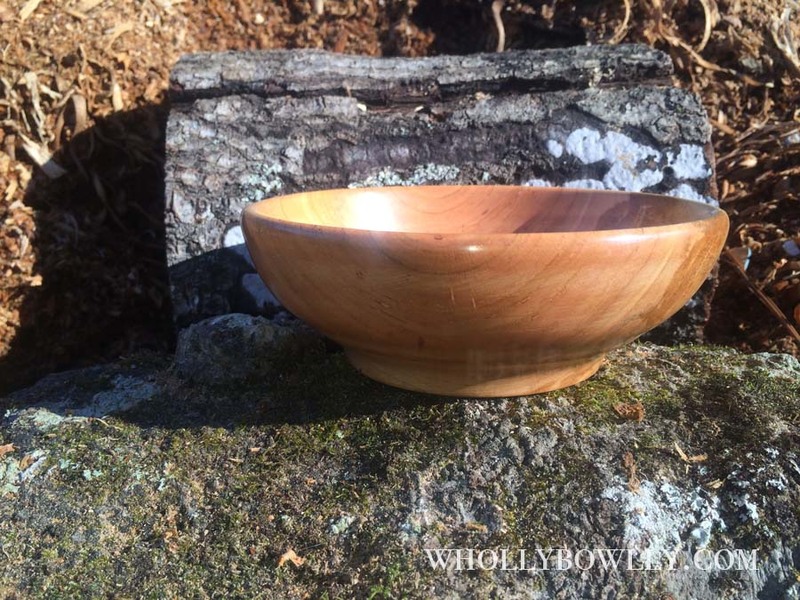 The crack can be seen in the second image on this bowls sales page. 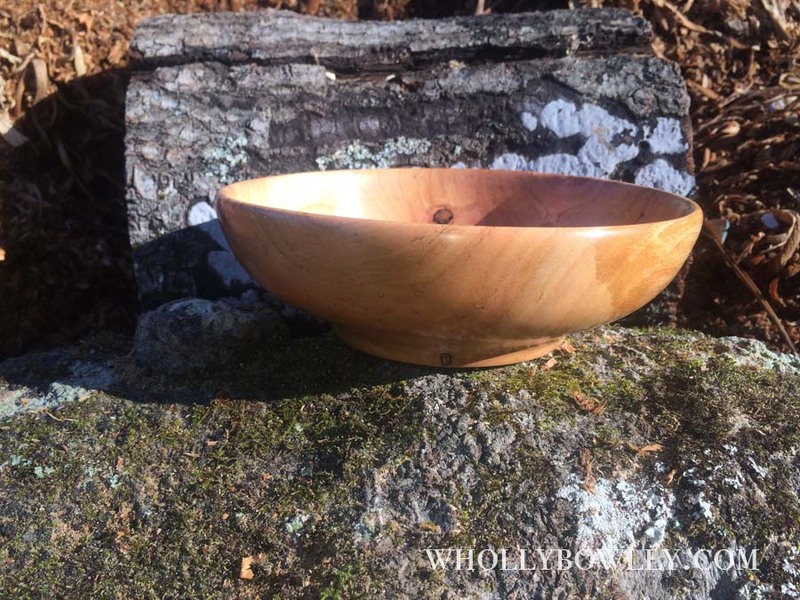 This Cherry Salad Bowl measures 6 ½" in diameter, 2" from table top to rim (sitting on foot, not depth of bowl center). 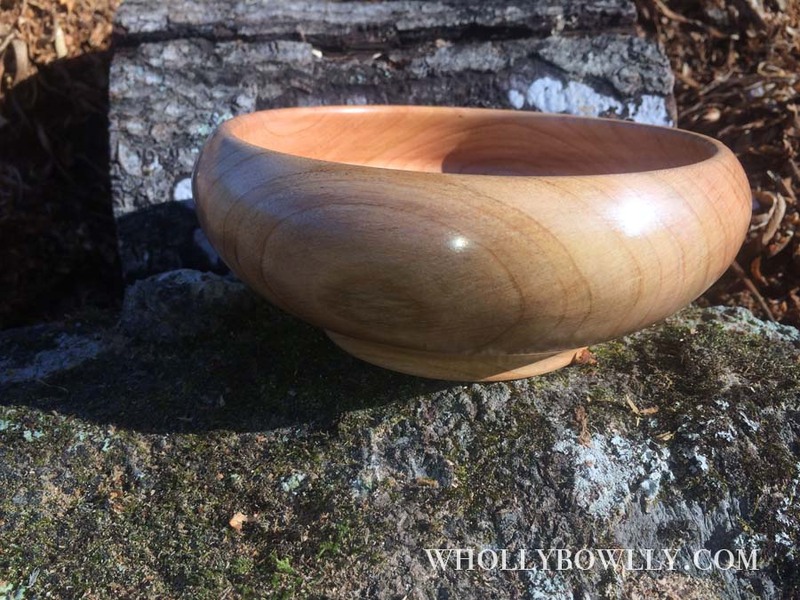 The bowl was coated with Salad Bowl Finish, a non-toxic hard finish.